In the first two articles on the Wise Traditions exhibitors, I looked at meats and fermented foods, both traditional and healthy products we need more of. The booths consisted of many other great companies selling traditional foods to eat and ingredients to cook with. Here are the other food exhibitors that caught my attention. Today’s potato chips are so bad for you as they’re fried in rancid vegetable oils, mainly canola, corn, and soy. Traditionally, we’ve fried our foods in fats such as tallow, lard, and coconut oil. 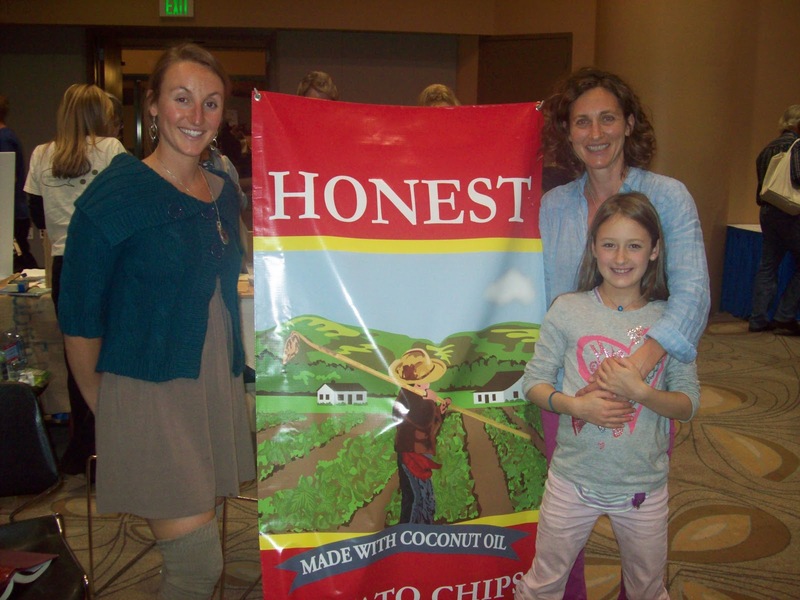 Honest Potato Chips CEO Megan Reamer (top right) brings coconut oil fried potato chips back on the market. Megan got some help at the booth from her friend Lindsey Schauer (pictured on the left) and her daughter Ella (standing in front of her). Ella even handed out a cute little business card which said she was chief scrubber and taste tester for her mom’s chips. 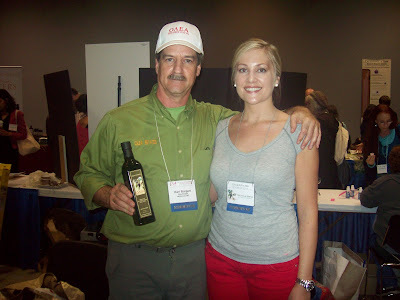 Olive oil is another great traditional oil. It’s perfect for salad dressing and mayos, among other things. But not all olive oils are created equally. Karl Burgart and Nichole Brink of Olea Estates present a top quality olive oil and olives that have been produced by a Greek family since 1856. Another lost tradition in foods is properly soaked nuts. 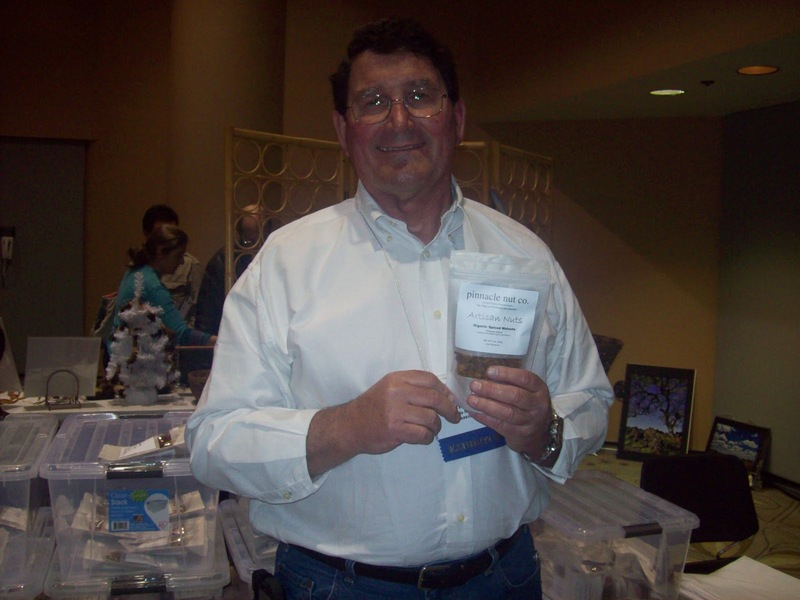 Soaking nuts can be a long and time consuming process, so for those don’t have the time, Pinnacle Nut Co. president Ken Marrow offers many great nut varieties that have been soaked for you. It’s surprising how many foods we consume that have some form of sugar in them. Even cane sugar is refined from its original form. The Weston A. Price Foundation has been instrumental in getting people to move back to natural sweeteners. One type of natural sweetener that can be used in place of refined sugar while baking is coconut sugar. 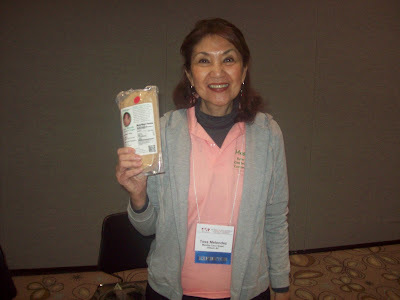 Tess Melendez holds up a bag of her Mestiza Coco Sugar. And let’s not forget salt when it comes to traditional foods. I’m not talking about the awful iodized salt we find in so many foods, but the good old fashioned sea salt in its pure form. 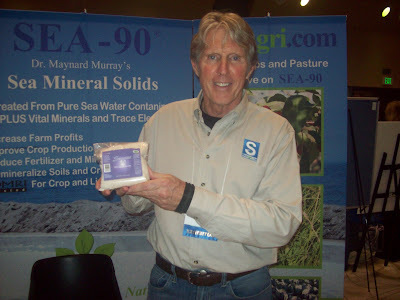 Salt is an essential nutrient in obtaining good health. Robert Cain is the president of SeaAgri, Inc., which sells some of the most natural sea salt out there.